Last month we shared the launch of the Indiesew x Dan Lehman Collection, exclusively available at Indiesew. If you missed the announcement, you can find all the details here. 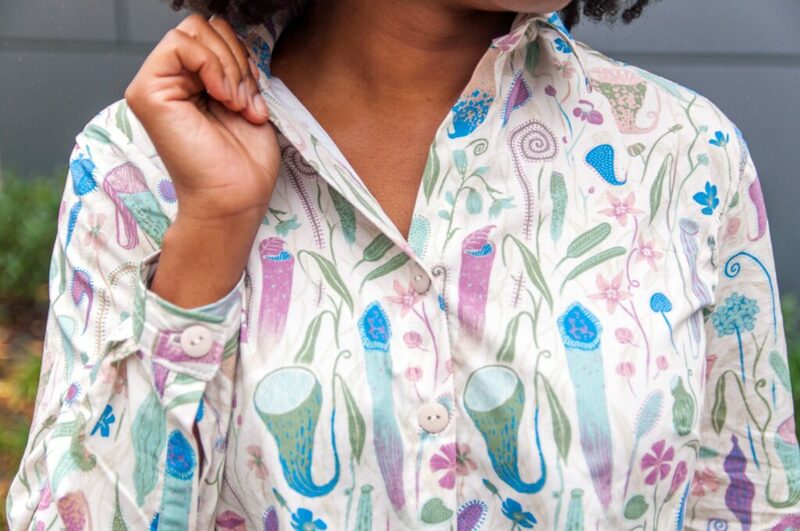 Did Dan’s carnivorous plants catch your eye but you’re not quite sure how to incorporate the collection into your handmade wardrobe? Look no further! 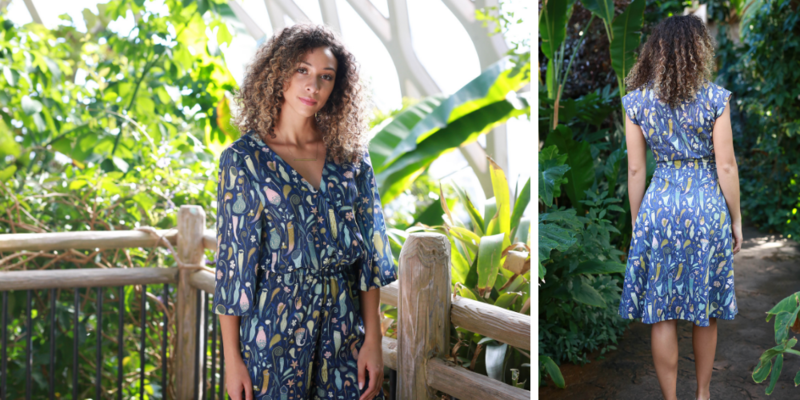 From jumpsuits to jackets, see how the sewing community is styling this botanical designs. 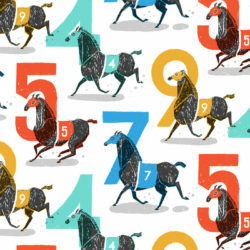 Do you have a favorite clothing brand the inspires your handmade garments? 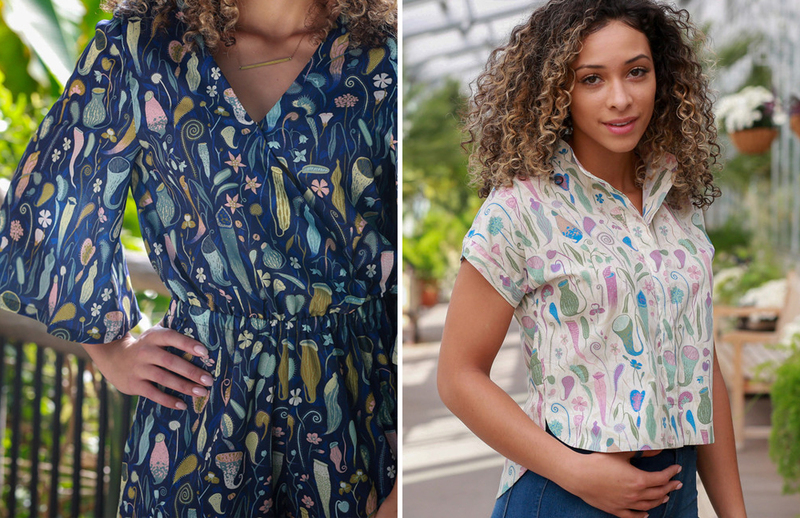 For Sara, the blogger behind The Sara Project, she likes to ask herself, “Would I see this at Anthropologie?” It’s safe to say the True Bias Roscoe Blouse she made featuring the Poly Crepe light colorway most definitely captures the boho-chic vibe of Anthropologie. Also channeling the Anthro’ style? Sara’s Organic Sweet Pea Gauze™ blouse. 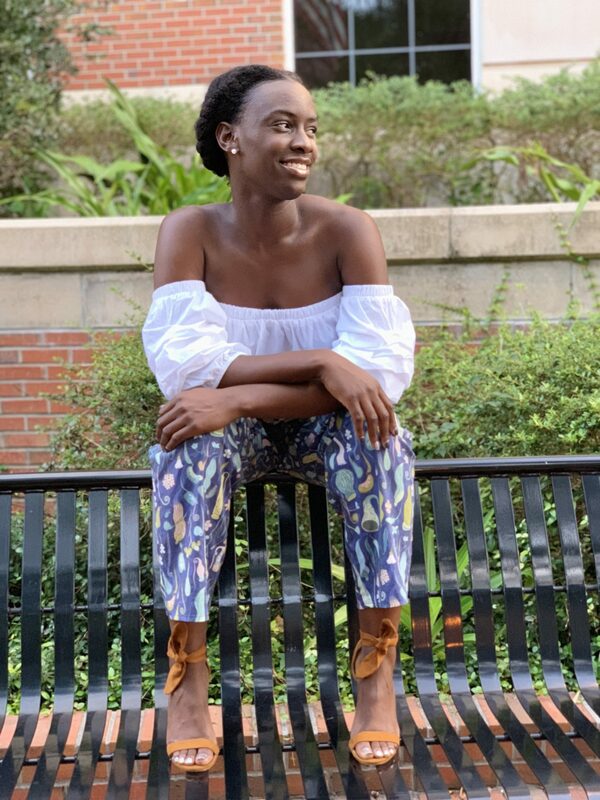 When we first saw Danesha’s tailored pants featuring the dark colorway of Dan’s carnivorous plants, we were all heart eyes. 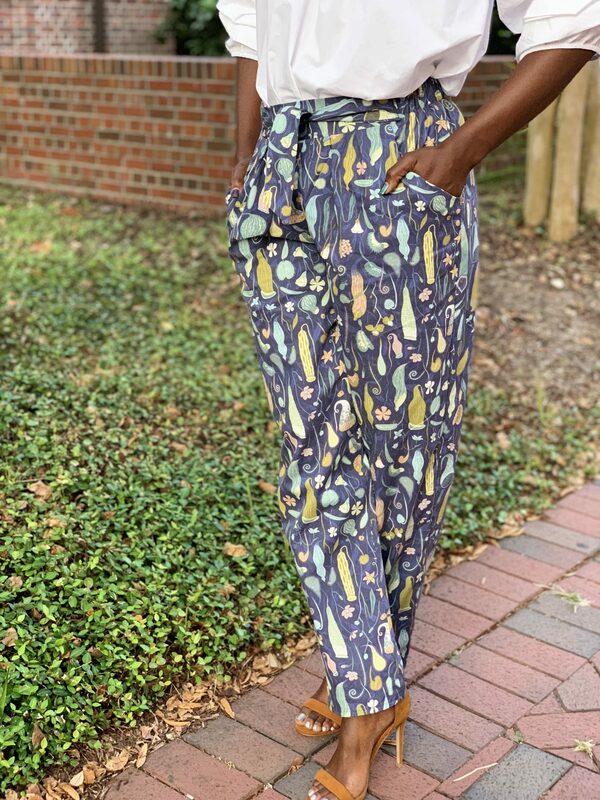 While 2018 might have been coined the year of me-made jeans, Danesha’s Cotton Poplin pants are giving us all the inspiration for a new pattern to add to 2019’s Make Nine. Paired with an off-the shoulder shirt and statement heels, this look is ready for a night out on the town. 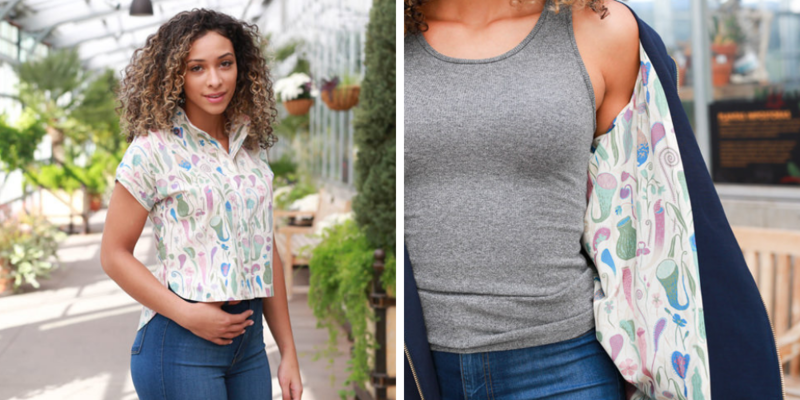 If you’re new to wearing prints, Mae of Sew Altered Style will be your personal style tour guide. 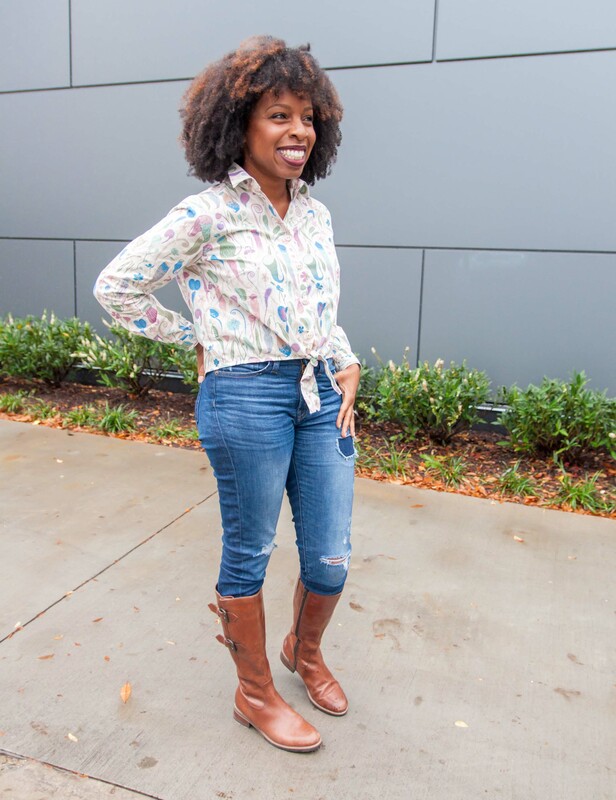 As someone who isn’t typically drawn to bold patterns, Mae mastered the look with her Cotton Poplin Montana Shirt following three simple tips for “bringing the bold” to your closet. 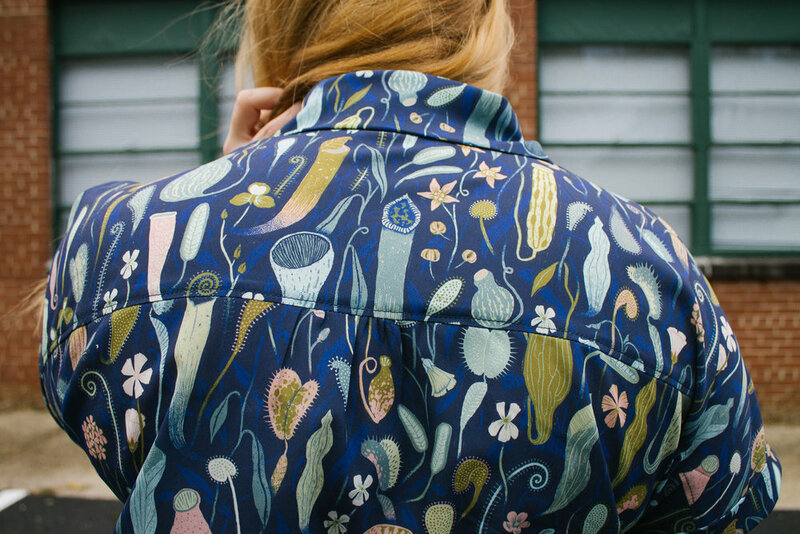 Allie Olson, the founder of Indiesew, put all four fabrics to the test while prepping for the botanical photoshoot. The subtle pop of pattern in the Joy Jacket lining and the playsuit that is 100% #sewfrosting show just how versatile Dan’s designs are. 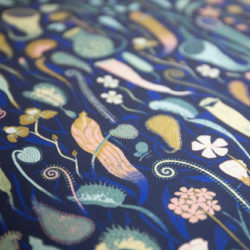 Shop more of Dan’s designs over at his Spoonflower studio and get to know him better with his Meet the Designer interview.